Garden organics recycling is a great way to help our environment. The key to its success is ensuring that the right items are placed in the green organics bin. TIP:1 If it didn't grow, it doesn't go in the GREEN ORGANICS BIN. TIP:2 No dirt, rocks or bricks in the GREEN ORGANICS BIN. Small quantities of these items can go in your WASTE BIN. Take larger amounts to your local waste transfer station (tip). TIP:3 No garden hose, tools or plastic plant pots in the GREEN ORGANICS BIN. Place garden hose or old garden tools in your WASTE BIN and clean plastic pots in your RECYCLING BIN. TIP:4 Don’t put your garden waste in a plastic bag. Place garden or organic waste directly into your GREEN ORGANICS BIN. Saving water and supporting food security. lower extreme soil temperatures in summer thereby alleviating plant stress by insulating the soil. Around 90% of greenhouse gas emissions from landfills are a result of decomposing organic material which could be diverted. Composting garden materials and food scraps diverts this organic matter from landfill. Composting reduces the quantity of waste going to landfill and therefore cuts down on methane, a strong greenhouse gas and contributor to global warming. Compost can reduce soil erosion by up to 30% through adding structure and assisting plant growth and vegetation establishment. Unsure about which bin a specific waste item should go? Check out the RECYCLE RIGHT online search engine that will provide details specific to your council. Visit recycle right.sa.gov.au or call 1300 137 118. You can also find tips on what to do with items that cannot be placed in your kerbside bins, such as oils, e-waste, light globes and household chemicals on this site or when you contact 1300 137 118. Some of these services are free. 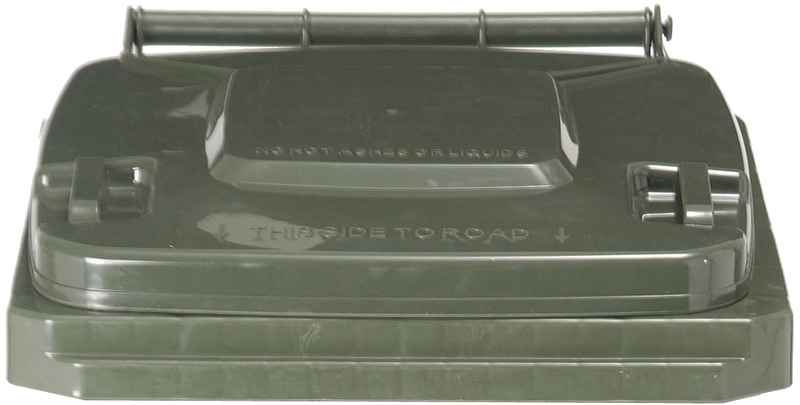 Green organics bins allow us to dispose of our garden and organic material with little effort . What happens to all the stuff we put in our green prganics bins? It doesn’t just get dumped somewhere – out of sight, out of mind – to decompose on its own. That would be an enormous loss of valuable nutrients. Green organics are professionally processed into compost-based products such as soil conditioners, mulches, garden soils, top dressing soils and potting mixes. When the green organics bin leaves the kerb, it takes about eight weeks to be processed. After being delivered to a composting facility, the organics are put into oblong-shaped hills called ‘windrows’. They’re bigger than you would expect – about the size of two double-decker buses end to end. The windrows are aerated using a network of fans or by frequent turning. Over several weeks, the material is blended, aerated, screened, sorted, ground, de-stoned, tested and graded into various types of mulch and compost before being made available for a wide range of uses from home gardens to councils for reserves and sporting grounds. Why it’s important to Recycle Right . Unfortunately when the material comes in to the composting facility, there is often contamination, such as metals, glass and plastics. These materials need to be removed making the process more expensive, timely and difficult. You can do your bit by making sure that only organic material goes in your GREEN organics bin. Can I put my food scraps in the green organics bin? There are a number of councils that allow food scraps to be placed in the green organics bin. For more details about food waste recycling, contact your local council. Please see the composting and mulching fact sheet for information on how to create your own composted mulch at home.